The boy-king Arthor has beaten back the berserker wolf warriors of the Saxon god, uniting his island kingdom - but at a terrible cost. For the Grail, the chalice of the Last Supper and the magical shield of Britain, has been stolen. Without the Grail's protection, Britain lies parched and barren, a demon-haunted landscape where sulfurous vapors taint the air. To find the Grail, Arthor's mother, Ygrane, must strike a dark bargain with Bright Night, elf-prince of the "pale people", in the hollow hills. Merlin must use his magic to show the way. But it is Arthor himself who must confront the Serpent, sword in hand. A. 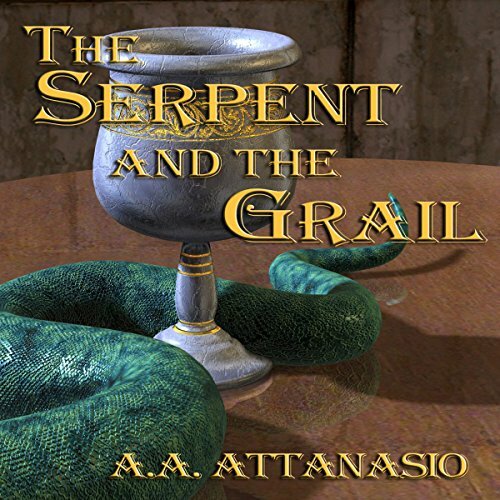 A. Atanasio's epic retelling of humankind's most powerful legend weaves together, for the first time, the hallowed yarn of ancient Arthurian lore and the shimmering strands of modern quantum science.